Summer is the season, when most of us avoid stepping out in the sun to prevent the damage done by harmful ultraviolet radiations on our skin and hair. Thankfully, now more and more research has been done to come out with ways to protect hair in summers and interestingly these are natural and chemical free ways that anyone can try on. So, read on to grasp some tips for caring your hair in summer. 1. Less Hair wash: Another way to keep your hair shinny and healthy all day long in summers is by reducing the frequency of your hair wash. Whether you know or not but by washing your hair frequently you rob your scalp of its natural oils and this in turn gives you the feeling of washing your hair again and again. So, try to wash your hair less in summers to keep them healthy. 2. Apply Natural Conditioner: Instead of using chemically formulated conditioners, try to apply natural conditioners to make your hair healthy in summer season. For instance, you can simply rinse your hair with apple cider vinegar mixed in water for an instant hair conditioning or you may also use coconut oil to de-frizz your hair after a hair wash but don’t apply too much of it too. You may also take a hair massage once a week for better moisturization of your hair in summers. 3. 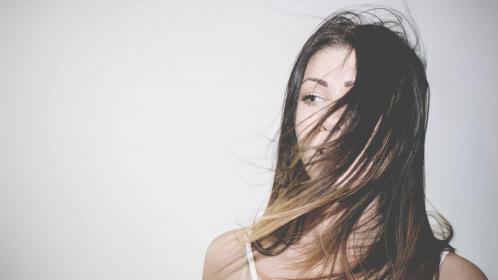 Avoid Heating Your Hair: Hair experts feel that since summers are already hot, so one should avoid blow drying hair in summers; moreover, hair get to dry quickly in summers, so there is less need to blow dry hair in summers. Apart from it, you should also avoid hot irons in this season to maintain the health and beauty of your hair. 4. Loosen Your Hair: You may try out different hairstyles in other seasons but try to loosen your hair in comfortable hairstyles in summers to let your hair breathe; moreover, by tying your hair tightly in summers, you will feel more heat and uncomfortable too, so it is always better to let them be loose to maintain their health. 5. Avoid Sun Exposure: Whenever you step out of home in sun, make sure to cover your hair with a hat or a scarf or use an umbrella to prevent the harmful sun radiations from damaging your hair. By doing this, you will also help your scalp retain its natural moisture that otherwise gets away under hot sun rays.